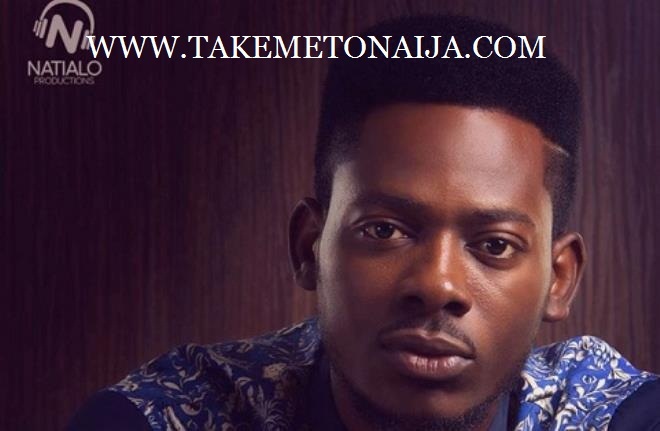 Adekunle Gold is a Nigerian Urban-Highlife and pop singer, who got signed to YBNL records in 2015 and hit spotlight the same year after releasing several ht singles. Adekunle Gold, who is a graduate of Lagos State Polytechnic with a degree in Graphics, formed a band “The Bridge” with best friend, Seyikeyz, in 2010 and they released four songs “No sleeping on a bicycle”, “Norm Breaker” featuring Skales and “All of me” (John legend cover). In 2013, he Left ‘The Bridge’ to debut as a solo act. Having identified his style of music, he released a song titled “Let it stop”, a song about peace for the nation. His dad used to play classic songs by King Sunny Ade and Ebenezer Obey while he drove them to school every day. He developed interest in music from listening to those men. He wrote his first song at the age of 15 and started out singing in his early teens as a member of the junior church choir. The popular singer is quite known for his Photoshop skills in the social media back in 2013. In 2014, he released his version of One Direction’s ‘Story Of My Life”, which he titled ‘SADE’. This song enjoyed massive airplay and got him signed to YBNL. When he released Sade, Fuse and the rest of the YBNL crew listened to it and fell in love with it. Fuse insisted Olamide should sign him with the group. He thought about it and because of the good relationship they have, he called him and they discussed the terms. He wanted to feign reluctance when he was told the terms of the contract but he could not help his excitement because it was a good offer. He mentioned in an interview about him being in the ybnl crew even before getting signed to the label, he said he has been working with Olamide for a long time, He designed the YBNL logo, he did a couple designs for the label before he got signed. Later in 2015 Adekunle released abother single under YBNL titled “Orente”, the song was quite accepted by fans and was quite a hit same year. Adekunle’s two singles were heavy on storytelling. They both take listeners through a tale of romance, which has been instrumental in the success of both singles. In contrast, the rest of the YBNL artistes are pacy rappers. The singer believes that there is a connection between his genre and indigenous rap. The song is my story. I asked a girl named Sade, out on a date three years ago but she didn’t accede to my request. She said she was not ready even though I really liked her. The song is about her and everything I narrated in the song is true, aside from the part where I said my parents were disturbing me. That did not happen. It’s been amazing how people accepted the song. Sade is everywhere on the streets and in homes. I’m really excited about it. It is one song I never knew would be a hit. People say the lifespan of a hit song in Nigeria is three months; I released it in December 2014 and it is more than three months old already. I feel loved and God has proven to me that He will always be with me. I have always wanted to be heard. He released the videos of his two hit singles which also gained a lot views in 2015 as the singer video style is loved by many people the singer will definitely say 2015 was a great year for him. In same year 2015 Adekunle Gold beat the likes of Olamide and others to cop the “Beat Of Lagos 2015 Award. Other music acts in the category include Patoranking, Olamide, Koker and Kiss Daniel. There were sayings the popular artist is romantically involved with fellow singer “SIMI”, there are several pictures of them on the internet they are said to have been together even before fame. Won The Beat Of Lagos 2015 Award.